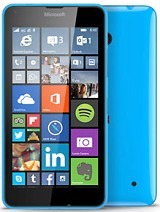 I've had my Nokia Lumia 635 for over a year now, and it has been a pretty decent phone for the price. However, I 've noticed glitches when it comes to the certain apps, especially with facebook and instagram. It has never happened before, but within the past several months, it has cut off when in use of the app. Had this phone for over a year it tell me to start a Nokia account but it will not let you. After first six months it will not let you post anything keeps turning off. Can't even go to windows store because an error. They give you three options to fix it none work. very dissatisfied with this phone altogether. theManWith635, 02 Oct 2016Got this phone last June 2015, so far I'm having problems with random freezing (i had to remov... moreThis phone ha served me well over an year. As for video calls, it works well with the one camera. At least it works. Try ooVoo, Line, we chat for starters. I've had this phone for almost a year now. Those of you looking for a very cheap phone with simplistic software that is very limited in terms of features then this phone might be for you. The Lumia 635 has aged quite a bit now and in today's perspective it might be seen as quite 'dated'. The phone's design is nothing to be excited about. You get what you pay for which is a cheap feeling plastic phone. It feels no way near premium in the hand and there isn't a single piece of metal in the design. However, don't be fooled because although it may be made out of plastic, the phone is actually very durable. How do I know this? I admit that I accidentally dropped the phone from the top of my stairs but what amazes me was to turn the phone over and see not even a scratch on the screen. Of course there was some internal damage which caused the screen and side buttons to be unresponsive but the screen was literally untouched. Nokia have always lived up to their name of making very durable phones. Some of you might remember the well known 'nokia brick'. 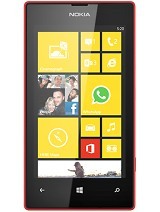 I like to think of this phone as the 'modern day Nokia brick'. Moving on to the phone's performance, the phone is surprisingly fast. It has a 1.2 GHz snapdragon processor which does well to keep up with heavy tasks. Nokia made the right decision to partner with Qualcomm. Within the first 5-7 months of using this phone, I had no problems with stutters or freezing. The phone's performance was utterly flawless. Within these first months the phone wasn't too slow either but of course it wasn't lightning speed. After a year or so though the phone starts to slow down like you'd expect with any other phone and you'll start to experience a few regular stutters. The phone's 5 megapixel camera is nothing but poor. Pictures taken are fuzzy at times and underdetailed. Pixels can be seen without even zooming in on photos and without a flash, the phone struggles to take lowlight photos. The phone also lacks a front facing camera which is disappointing because that means no selfies or fully working apps like Skype. One thing I really like about the Lumia 635 though is its speaker's sound quality. The phone being cheap, I expected the sound quality to be cheap but it wasn't. The sound quality is actually better than most low-low mid range phone's these days and for its age that's pretty good. It's not extremely loud but it doesn't sound tinny like a lot of phones do these days. The sound is clear and defined. The worst part of this phone is the software. Windows. The name says it all. Windows means limited features compared to IOS or android, limited apps, very simplistic UI, horrible app and website layouts, incapable of modifying with launchers and so on. The negative list is endless. Overall, this phone would be best for someone who doesn't want to spend very much on their phone, doesn't want all the features of an average smartphone and wants a simplistic easy to use interface. Thanks for reading my review, I took time to write this and I hope it has helped you. German H., 22 Dec 2016Windows Phones are the best to those who know how to use them..Android phones are nothing but... moreYou see I completely disagree with you. With the new Android 7 nougat software, there are plenty of features that save battery and there are thousands of Android phones with different specifications. Some have huge batteries others don't which is the same for both apple and windows phones but because there's so many Android phones, you have a better chance of finding a phone with a big battery that will last a long time. The oukitel k10000 has a 10000mah battery that can last a week on heavy usage. So you can't say that all Android phones waste battery. What's more is that you can do so much more or Android software just because of how widely used it is internationally. The Google play store compared to the windows store is colossal and there are an endless amount of more apps that you can install with ease. I personally have had a Windows phone for a year now and I am sick of it so I switched to Android. It's too simplistic and limited. 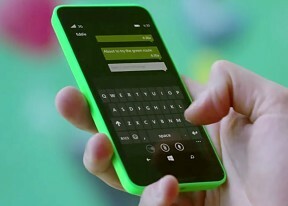 I would suggest windows phones to people who lack the understanding of how to operate a phone like more older people. 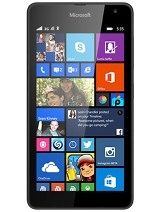 are nothing but crap..they waste battery as hell compared to a windows phone. 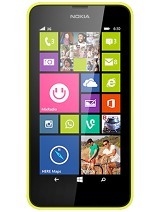 Don't even think about getting a windows phone. Like the phone but the apps are straight crap. You can't download app that Android phones can don't even think about iPhone apps. I've had my 635 for 2.5 years now. it's been around the world. Getting now to be slow and stutter, even though I am not a big user of apps. Miss a lot of company-specific apps (e.g. banking, airlines, etc) available for iPhone and Android, but not Windows 8.1. Satnav and maps very good (I use the downloaded maps in places like Hong Kong, Ontario, Vietnam, USA, Europe, etc). Phone though now seems very tired. Time now for something newer, preferably Android (wife has iPhone 6, and while nice, don't like the way Apple does things). It has been reliable, no problems (except when I first got it, wouldn't recognise memory card, but was replaced immediately in the store, no questions). I have had other phones and I feel this is NOT right. Should I spend money fixing.....it may happen again....or better forget about Nokias.. Anonymous, 28 Jul 2016I've had this phone for about a year and it is the worst thing ever DONT buy this phone you wi... moreRubbbish I've had it 1 year so there, the power button well buy a new back cover easy!!! Anonymous, 14 Oct 2016Being Nokia, have to say one of the best phones i have, sure no front facing camera, I'm not a... moreCont..........Also easiest phone to use I love windows 8.1 no lag.like lagdroid!!!! theManWith635, 02 Oct 2016Got this phone last June 2015, so far I'm having problems with random freezing (i had to remov... moreBeing Nokia, have to say one of the best phones i have, sure no front facing camera, I'm not a selfie freak! I pop a tempered glass protector on, and dropped it 20 x still fine lol. I paid like $25.00 who cares, and i got 4G.....most apps run fine on 8.1 . I dont even like win 10....... if you want something that calls/ text's odd App or 2 go for it.........Sturdiest Smart phone I've had. I'm not going to pay $300 for a phone. For a budget phone,I think its not an excuse for them to remove the front camera. Even I carefully press the previous button when navigating the webpage, takes you two pages back! I had to check history to take me to my recent previous page.